Time for another InterNations gathering for our Nouakchott Community! 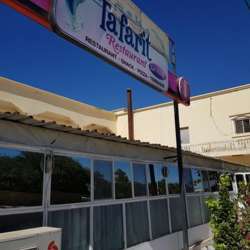 This month we will be meeting at Tafarit Sun House Restaurant, located next to the Stade Olympique and Supermarche Bon Prix. Tafarit offers a great menu selection. We'll be located in the interior dining area. Come on out to catch up with old friends and meet new ones in Nouakchott. As always, we welcome your friends to sign up and join us too!